How Brainwave Frequencies Can Change Your Life! Today I want to show you a method on how to raise your vibration so that you can change your life. Many people may not believe me when I say change your thoughts and you will change your life. But It’s a proven fact that changing your thoughts, raising your vibration is a huge component of the Law of Attraction. It is one thing that a few people swear it works, other people think it’s B.S. and most, just don’t understand. If you’re among those that have heard about brain entrainment before but don’t know what it is or how it works, I don’t blame you. Google this and you’ll get a complicated scientific explanation. You’ll learn about frequencies and brainwaves and how the brain works and many other things that make your head spin. I’m surprised that you aren’t required to have a PhD to learn about brainwave entrainment, because honestly, it feels that complicated sometimes and I’m one person who learned how to do this right. So instead of giving you another complex definition of this, with theta and gamma states, I’ll ask you a basic question. Have you ever had moments in your life when you felt like you “attracted” good luck? You know what I’m talking about right? You walk down the street and you feel people love you. They smile at you, nod at you and you feel connected to those around you. You go to work and your boss is actually agreeable and amazing to work with. If only he’d be like this each day, you’d love your job. You meet with your friends and they’re so kind and friendly and you feel so supported. Or maybe you even attract some amazing things in your life. You end up meeting an amazing person who becomes your significant other. Or some large sum of money comes from nowhere and you have no idea how this happened. Chances are that it did. It happened to all of us. We all have rare moments when everything seems to just work fine. In those moments, the universe falls into order and you get exactly what you want. The answer to both questions is simple. You were operating on a higher vibration level. You were in sync with the world around you and because of this; you were attracting all that’s good and joyful. It’s nothing random. Maybe you, as a person, you looked and acted exactly the same. But your energy, the rate at which the particles your body vibrated were very different. They were at an optimal rate and because of this, instead of encountering frustration and pain and loss as we usually do, you attracted love and wealth and success. You can call it whatever you want, but when you’re on a low frequency, you are disconnected by those around you. You become disconnected to your world. You’re like a part of an engine that is not a good fit anymore. It causes friction. It hurts more than it helps. When you’re on a high vibration, high frequency, you’re like a well tuned, well-maintained engine and everything comes to you effortless. Life works. And yes, maybe modern science can’t explain this but it’s true because we are all experiencing it. Everyone from average people to CEOs experienced periods in their life where everything fell in place where they attracted everything they ever wanted. And just like you, they’ve asked themselves how the heck all of this happened and what they could do for this to happen again. So where does brainwave entrainment comes into play? It’s a tool we’re so lucky to know about because it allows your brain to adapt and operate on that higher vibration level. Brainwave syncing are for the human brain what a Formula 1 pit crew is for a high performance car. It takes even the worse out of sync brain, the one that’s operating on a very low frequency and is constantly attracting pain and suffering and makes it work. It brings focus, energy, passion and increases the vibration of the user to the level where his life changes completely. It’s so effective that some people call it “smart drugs for the brains” or “the best self-development tool that was ever created”. And I believe they’re right. I have noticed better results by using brainwave entrainment than anything else. Better than reading, better than journaling, better than meditation, even better than paying high priced energy healers. This is how brainwave entrainment helps you. Behind all those fancy terms, behind all those scientific explanations that almost nobody understands, brainwave entrainment works because it raises your vibrations. They help your brain work better. They put you in sync with the universe. And they help you act at your best, attracting the right people and circumstances in your life. I mean, just imagine how your life would be if every day you’d be at your best. If every day you’d have that rare energy and focus and passion that attracts the right people and circumstances in your life. What if each day you could be showered with good fortune instead of pain, problems and obstacles. Imagine how you’d feel if you could manifest your most precious goal in the next 24 hours. You could attract the person you love or attract money in your life or maybe get that opportunity to advance at work. And now, picture a life where this happens each day, day in and day out, where good fortune is not some rare event that happens twice a year but a daily occurrence. Grab Your FREE Manifestation Breakthrough Kit! Then I have exactly what you need to discover how to raise your vibration. I have recently learned about an unique program designed to bring your brain to the higher frequencies we’ve discussed. It’s plug and play. You need not do any homework with this. You need not research what different frequencies do or how to use them properly. You just play them at night or when you’re resting and it will slowly adapt and tweak your brain for the higher vibrations you want. It’s like vitamin C. You listen to it and things get better but while vitamin C will prevent you from getting colds and will improve your immune system, what brain entrainment will do for you will help you manifest money, love, power or anything else that’s of importance to you. They call this program “Manifestation Magic”. 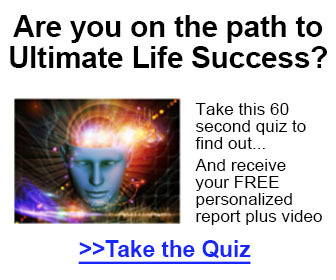 As far as I know, it’s the only program that is especially designed to help you manifest what you desire in your life. Most brainwave entrainment programs are designed to just help you focus better or maybe to have more mental power. This is admirable but I don’t want you to do math faster in your head. I don’t want you to be more productive. This is good but it will still take you years to get what you want. I want you to manifest the life you desire. I would love for you to attract, today, the love, the success, the wealth, the prosperity that’s rightfully yours. You don’t have to read anything. You don’t have to study. You don’t have to actively participate in this. All you have to do is use it and to let the power of brainwave syncing tweak your brain and bring it on a higher level of vibration. You download it, put it on your phone and tonight, before you go to sleep, play it. You need not do anything special. Put your headsets on, listen and let it change it. Then soon you’ll see how things are different in your life. How people are more receptive. How opportunities you’ve never thought about show from nowhere. How everything feels right and you know this is “your day”. And with the help of “Manifestation Magic”, every day will be your day. Want to discover more on how to raise your vibration? Click on the link below to get started with brainwave entrainment and manifest what you truly desire in life. This entry was posted in EDUCATIONAL LIBRARY, GOAL SETTING, LAW OF ATTRACTION, Law Of Attraction For Success, manifest, MEDITATION, MOTIVATION, Uncategorized and tagged become a money magnet, brainwave frequencies, how to become a money magnet, inspiration, law of attraction, law of attraction for success, manifest abundance, manifest your life, meditation, mindset training, motivation, raise your vibration, self love by Jay Hinson. Bookmark the permalink.